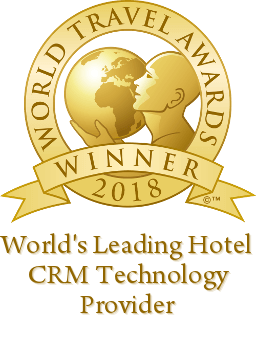 Boca Raton, Florida – July 2, 2018 – Cendyn, the leading provider of hotel CRM and hotel sales platforms in the hospitality industry, has been voted as Europe’s Leading Hotel CRM Technology Provider and Europe’s Data Driven Marketing Agency, 2018. The prestigious World Travel Awards recognizes companies, organizations, and brands that push the boundaries of industry excellence. Cendyn’s CRM Suite caters for every hotelier from large brand to small boutique properties. Using multiple integrations, Cendyn consolidates multiple data points from disparate data transactions to engage with travelers throughout the guest journey. Business rules-based automation combined with dynamic personalization and upsell opportunities drive revenue through multiple channels and helps hotels acquire new customers. Using data to pave the way in how hoteliers communicate with their guests has revolutionized how they can learn more about guests’ interactions, drive direct bookings, maintain brand presence with their most valuable guests and stay competitive in their market. Cendyn’s integrated Digital Marketing Suite and Hotel CRM Suite enables hoteliers to keep their guests at the forefront of what they do and concentrate on providing exceptional, personalized customer service at all times.